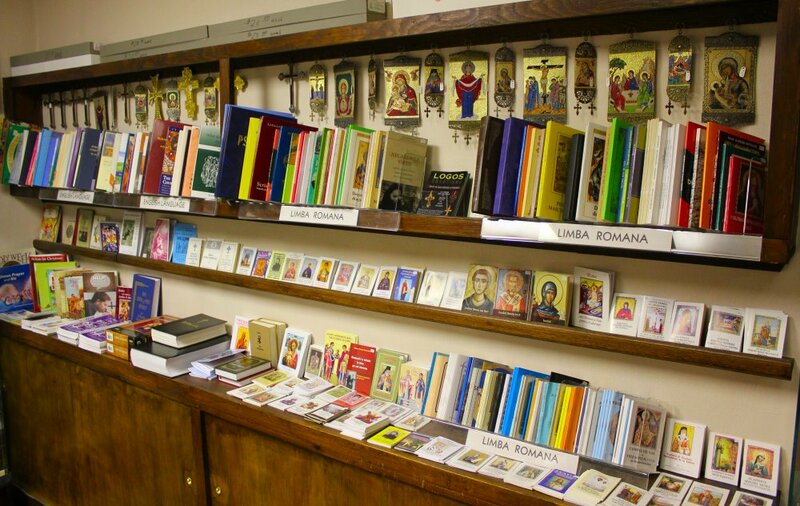 Our parish maintains a small parish bookstore where parishioners and visitors can obtain books, in both the English and Romanian languages, on Orthodox Christian themes. Types of books include general information on Orthodoxy, saints, parenting, prayer books, bibles, akathist prayers, children’s books, and more. 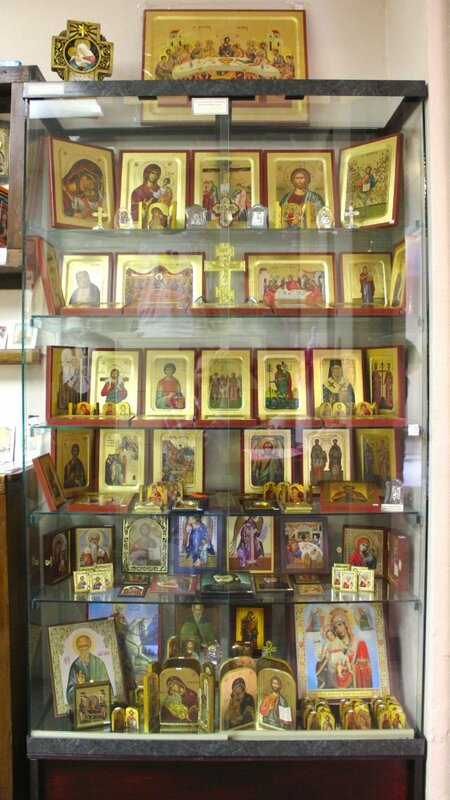 Every Orthodox Christian home should have at least one icons and/or cross on a wall. We offer a nice selection of these items, whether it’s a personal purchase or intended as a gift. Additional religious items available include candles for baptisms and weddings, calendars, prayer ropes, keychains, lapel pins, greeting cards, candle lamps, incense, and more. 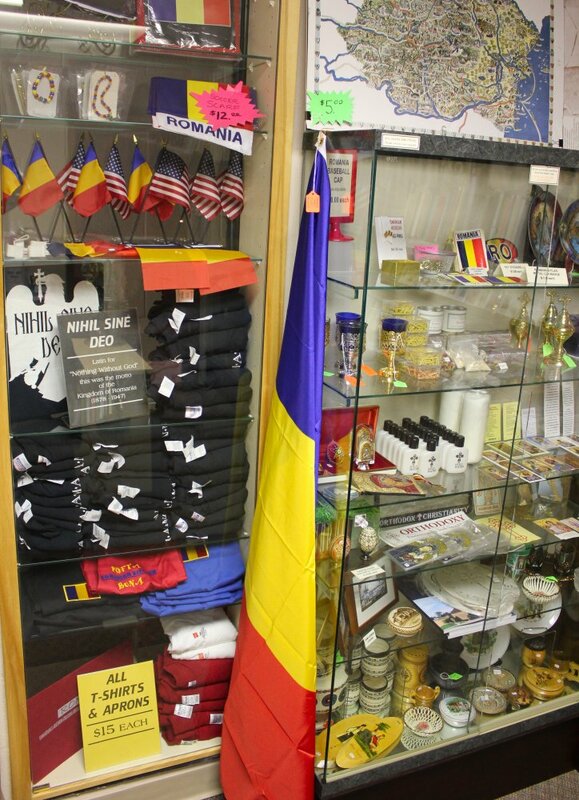 We also carry a selection of Romanian-themed items such as t-shirts, Romanian-American flag lapel pins, keychains, stickers and more. Selection of items in the bookstore varies based on availability.